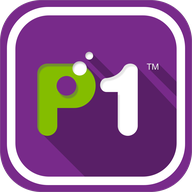 With the new P1 Self Care app, P1 subscribers will now have the convenience of managing their accounts and payments through their phones as well as having access to detailed account information right at their fingertips.P1’s mobile app is designed with ease of use and dynamic user experience for all users, with quick views on all essential information and providing on-the-go management of your subscription anywhere and anytime.The app has been designed to provide users immediate access to their account details via an intuitive dashboard that allows quick access to features and information. We make the app to work in English and Bahasa Malaysia as well.Five main navigational icons at the bottom dashboard allow subscribers quick access to:* Home: Provides interaction on monthly quota, top-up quota and info on payable amount. P1 subscribers can also make their payments here. * Quota: Users can view a summary of their quotas based on their usage and balance with a choice of top-up selections. * Bill: P1 subscribers can check their bills with details and history together with payment history. Payments can also be processed here. * Account: Displays account details, particulars and billing address. P1 subscribers can also implement their password change plus change their personal details. * Language: Select language preferences or get online help and support through this button.